What is the Circut Maker? Did you hear the news? 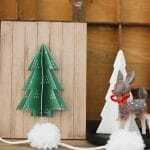 Cricut released some brand new products. But what is the Cricut Maker? And what does it do? Find out all the details as well as some information on the EasyPress and Bright Pad. O.M.G. You guys! I am so SO excited about this new machine. But first, let me just say how amazing my experience with Cricut has been. I was lucky enough to attend their Cricut Mountain Make-a-thon and it was so amazing. Everyone in the Cricut family is SO nice. It was just one big party the whole time with crafting thrown in. In the opening general session the Cricut CEO, who is an awesome, funny guy, announced three new products. 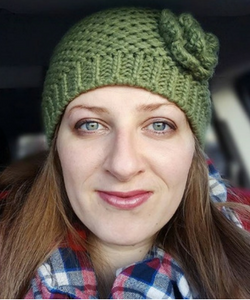 You can check out the video I shared it on my Facebook page with the whole presentation, and while you are over there I would love it if you clicked the like button so we could be friends. In the opening general session the Cricut CEO, who is an awesome, funny guy, announced three new products. You can check out the video I shared it on my Facebook page with the whole presentation, and while you are over there I would love it if you clicked the like button so we could be friends. For the better part of two days I got to take part in classes on the new features and how the Cricut Maker works. I also got to get some crafting done of course. There was a crafting room open with tons of machines from 8pm to midnight. It was so fun. The only problem was that I went to my room and tried to write this post but I got tired and went to sleep. Then I woke up at 3:45 with my brain going a million miles a minute thinking about all the things I could make. I was literally dreaming things up. I had a hard time getting back to sleep. And seriously the new products are awesome. I can’t wait to get them in my home to really put them to the test. And share all the awesomeness with you. So here we go. Are you ready to talk about the new products? The Cricut Bright Pad. This is truly an awesome product. It’s already in stores and you can get your hands on one today. 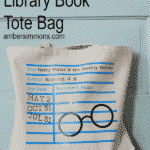 I love it for weeding the vinyl and iron-on material. You can also use it for tracing or back lighting any projects that you might need some extra light. Plus it’s pretty and sleek as well as super strong. He dropped it on the floor twice, I imagine on purpose to show how strong it is, and it still turned on and looked great. 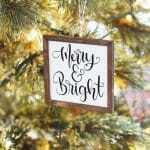 This is already available here from Cricut and retails for $79.99. EasyPress is their very own heat press! How awesome is that? 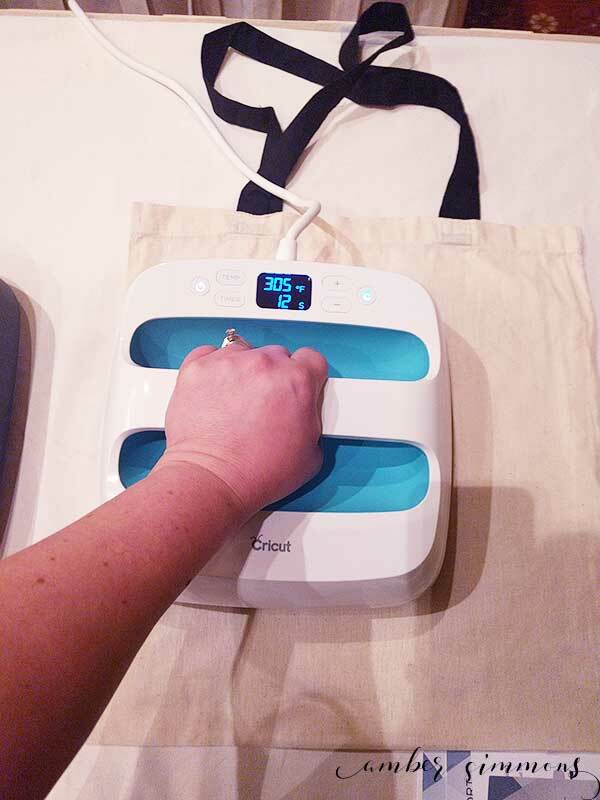 I have been wanting a heat press for a while and now I will be getting one. 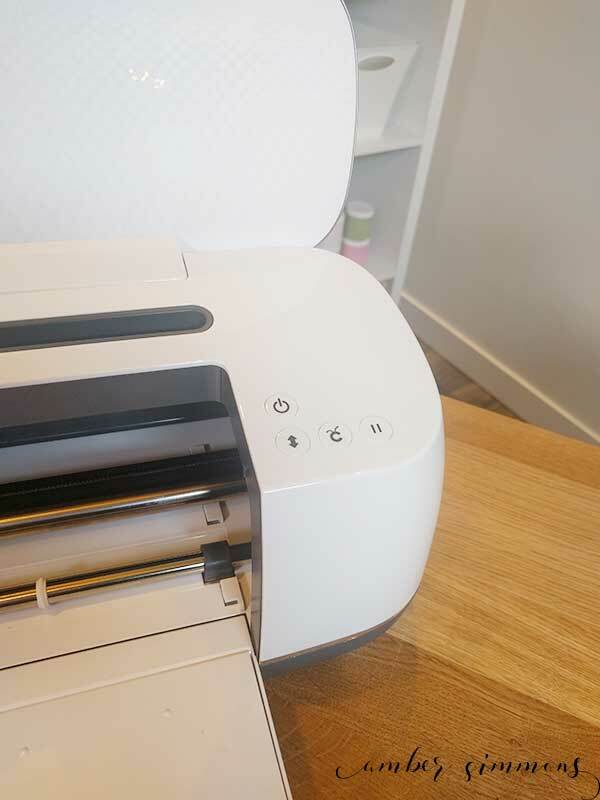 Theirs is fantastic because it has a 9″ by 9″ square of heated space that you simply set the temperature, set the timer, hold it on to your material, and once the timer beeps your iron-on will have adhered to the project. No more standing there with your iron trying to find the hot spots to get it stuck down and checking to see if it’s stuck down yet. So exciting! Plus it is portable and it comes with a heatproof base to keep it in. This will be available in August and will retail for $149.99. Sign up here to be notified by email when it is available. This machine can do it ALL! Seriously though, it can cut HUNDREDS of materials. From something and thin and delicate as crepe paper to things and thick as 2.4 mm like leather and balsa wood. Do you want to cut fabric? It comes with a cutting mat specifically for cutting fabric that hasn’t been backed with a stabilizer. 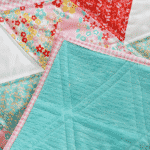 Perfect for sewing projects including clothes and quilting. And how is it going to cut this you might ask? With a rotary blade of course! I am seriously SOOOOOO excited about this. Check out this baby in action! Like butter guys. Like BUTTER! The fabric cutting mat is awesome. It doesn’t smell like the other cutting mats. AND it can cut fabric that hasn’t been backed. How great is that? You can use it for any type of sewing projects. Now, you will have to use the fabric mat any time you use the rotary blade. The fabric mat is also thicker since there is more force being exerted on it by the rotary blade. 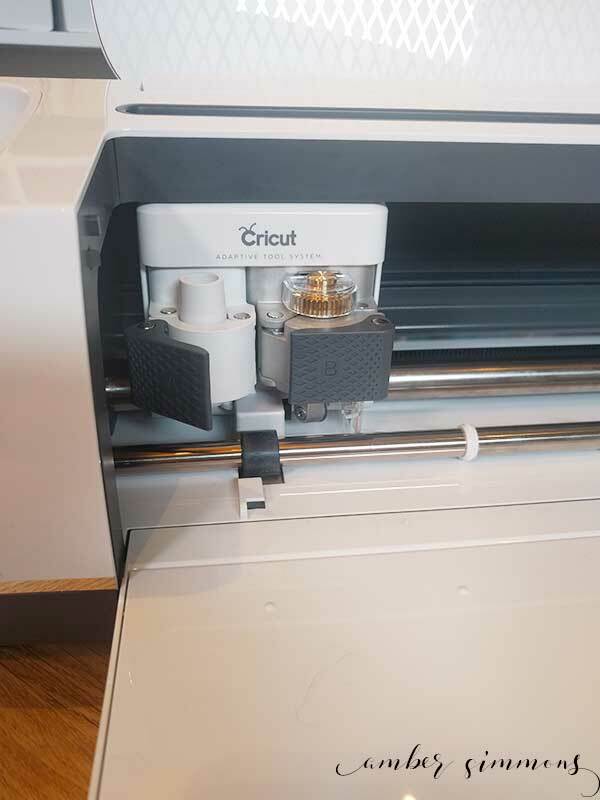 This new Cricut Maker can exert 4000 grams of force compared to the previous machines 300. That’s a HUGE increase which is what allows it to cut so many different things. This is accomplished by the new adaptive tool system. The rotary and knife blades both have a golden gear top which allows for more controlled cutting with these blades. There will also be a knife blade available for this machine in October. That means it can cut thick materials like balsa wood and chipboard. You can cut materials with a depth up to 2.4 mm. I am excited about that feature. I can’t wait to give it a try. Plus this blade will be cutting with variable pressure. So depending on what cutting pass it is on will determine the pressure and depth of the cut. 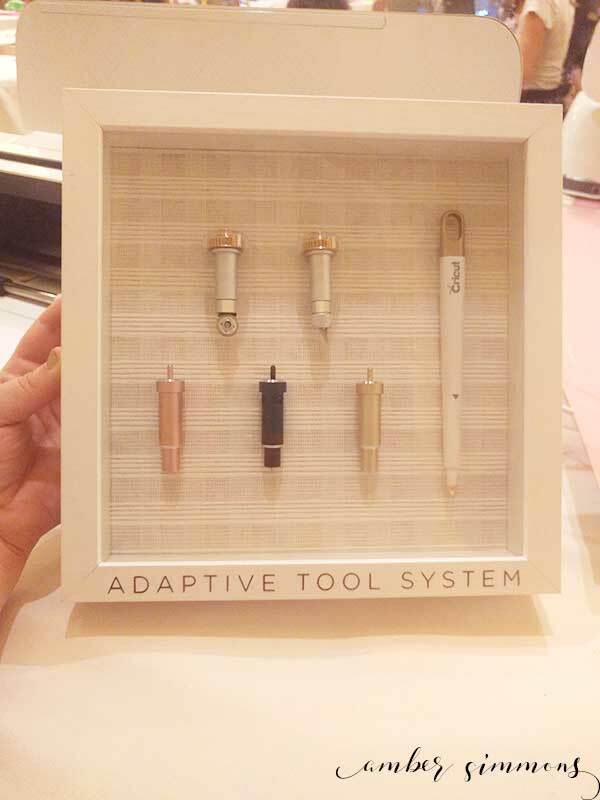 Speaking of the adaptive tool system, here’s the whole range of tools for it. Now, let’s talk fussy cutting. Who likes to do that? I know that I do. For those who don’t know, this is when you align what you are cutting up to get the exact section of print you want. So maybe you want the fabric design to be centered on your square. That’s a fussy cut. 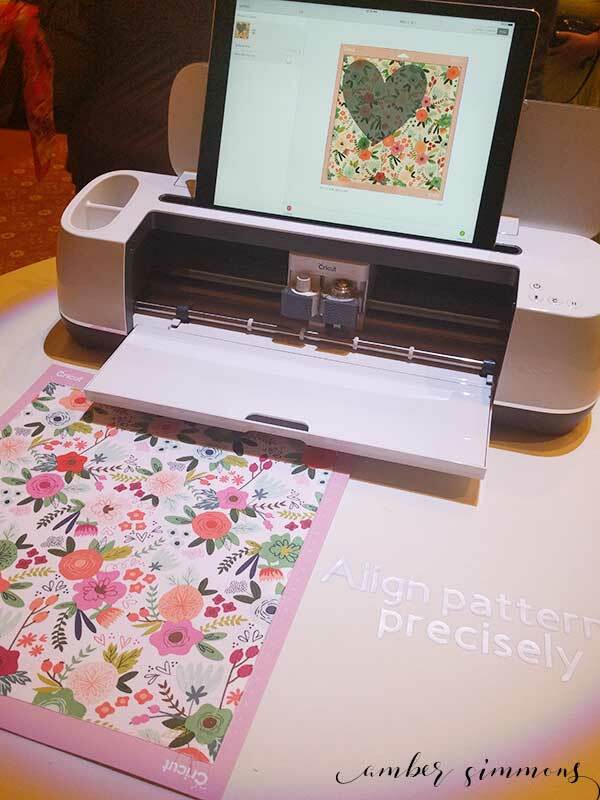 Cricut Maker has a photo feature where you can lay your fabric on the mat, take a photo, and it will put it on the cutting mat in design space so that you can perfectly align your cuts. 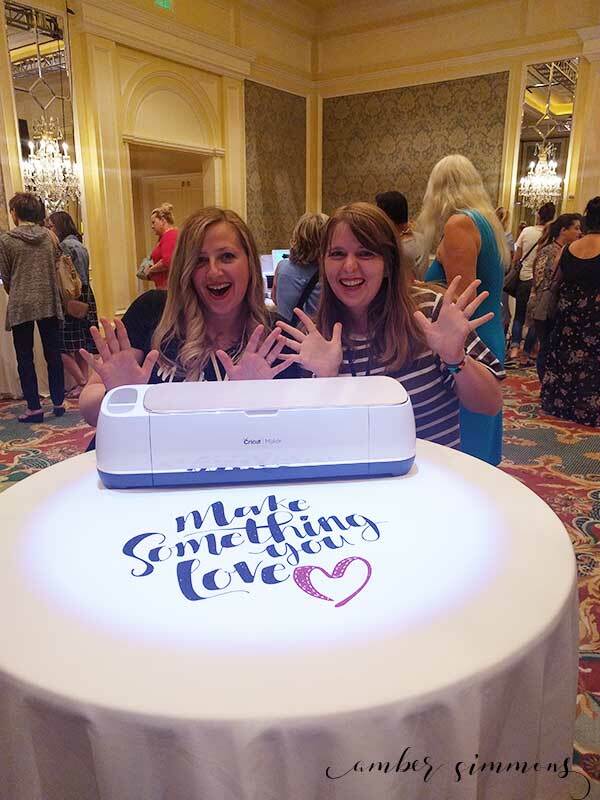 AND Cricut has partnered with Simplicity and Reily Blake to make the sewing experience even more awesome. 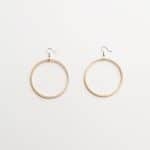 Simplicity is filling the Design Space with patterns that the Maker can not only cut but mark the seam allowance as well each piece as well so you can keep them in order. Reily Blake has put some quilt patterns in the Design Space. Did you notice that the dial is missing? In an effort to help expand creativity so they moved all the material cut options into Design Space. I think that’s a great idea because you have to choose one before it will cut. It will also check your blade before every cut to make sure that you have the right one in for your selected material. There also a dock right on top to house your mobile device and a USB port on the right-hand side to charge said device. So now you can create anywhere. Especially since you can design offline. How amazing is that? 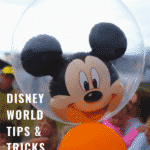 If paper is your preferred medium you can also now do print and cut on colored paper. And even on some patterned papers, depending on the pattern. You’d have to test it out to see if it can do you specific patterned paper. Only the Maker is able to do this because of a better sensor that is used during the print and cut function. This machine is truly for every maker out there. And even the people who don’t consider themselves makers, but would like to create something. I made a DIY sleep mask with my Explorer Air 2, well, I made some iron on eyelashes. But with this new Maker machine, I can make the whole thing. 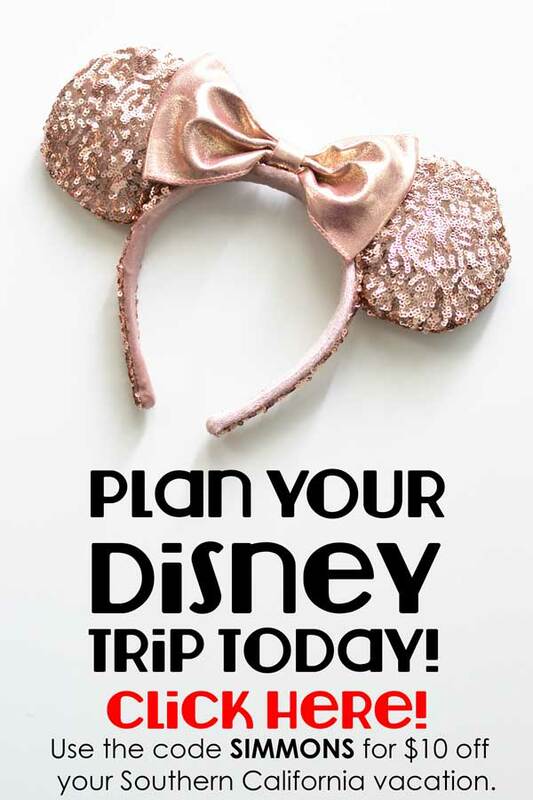 And I plan to, once I get one in my hot, little hands. What are you excited to make with it? 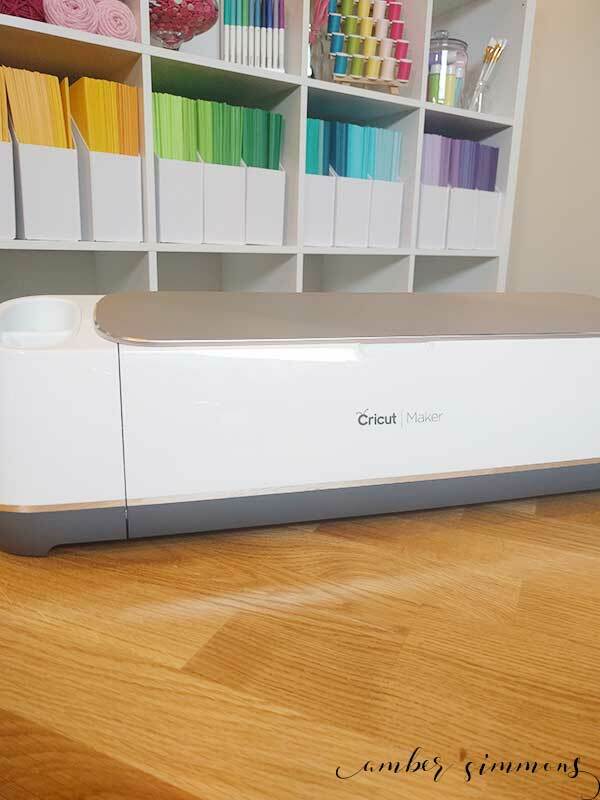 The Cricut Maker will be available August 20th and retails for $399.99. Get yours from Cricut here. 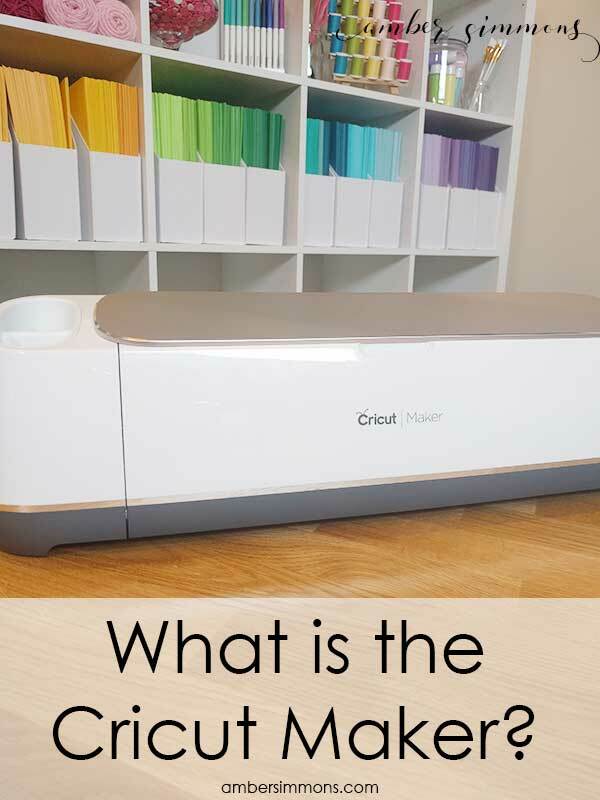 Do you love Cricut? Me too! Check out my other Cricut posts. what does the Bright Pad. cost ??? ?